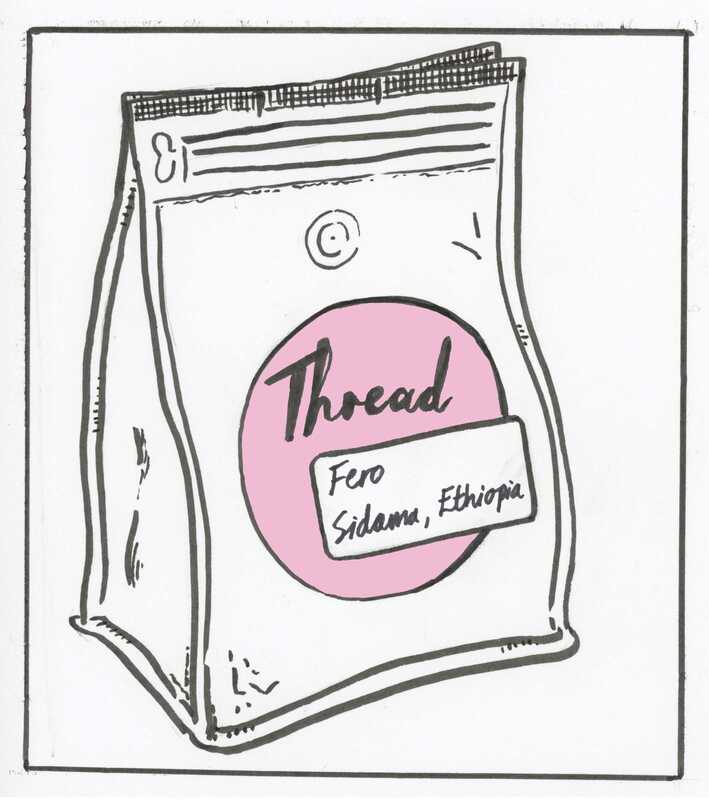 Thread Fero - Ethiopia Region - Sidama Varietal - Heirloom Process - Washed Elevation - 1800-1900 m Members - 4000, since 2010 Farm Size - 0.5-3.5 Ha Tasting Notes: Black Tea. Sweet Lime. Crisp. The Sidama Coffee Farmers Co-operative Union (SCFCU) represents coffee producing cooperatives located through out the Sidama Zone of Southern Ethiopia. This particular coffee is sourced from the FERO Cooperative. It is a washed processed coffee. Notes of Black Tea. Lime with Crisp acidity and finish. In addition to the market access support, SCFCU is providing financial support to the FERO cooperative as well as technical support to improve farming and processing practices. FERO farmers and staff are working together in order to deliver a very high quality coffee. The cooperative owns four washing stations and one processing unit for natural coffee. Use coupon code 'PickUp' to skip the shipping and pick up at the roastery.